Are you applied for SBI Clerk Recruitment ? And searching SBI Clerk Syllabus 2019 to prepare for exam. If yes, then you can get State Bank of India Junior Associates/Clerk Syllabus. Here our team provide you topic wise & subject wise SBI Junior Associates Syllabus and Exam Pattern. You should read our article carefully because it help you for better exam preparation. Applicants who are filled the online application form can check SBI Clerk Exam Syllabus 2019 from Here. You can also download exam pattern. State Bank of India has announced recruitment for 8904 Junior Associates Vacancies. Applicants who are waiting for clerk post should apply before the last date. Now Appliers who are preparing for examination must required SBI Clerk Syllabus. If you don’t read exam syllabus then you can’t clear all subjects. So all participants should collect the SBI Junior Associate Exam Syllabus from here. State Bank of India has recently published SBI Junior Associates Notification for filling up 12.04.2019 Clerk Vacancies. The online registration already started from 12.04.2019. Last date of submission online application form 03.05.2019. After complete registration form the department will going to conduct written exam. There are two stage of examination (Prelims & Mains). Preliminary examination will conducted on June/ August month. After that preliminary exam qualified candidates attend the main exam. Appliers who are interested in Junior Associates Exam can check subject wise SBI Junior Associates Syllabus from here. 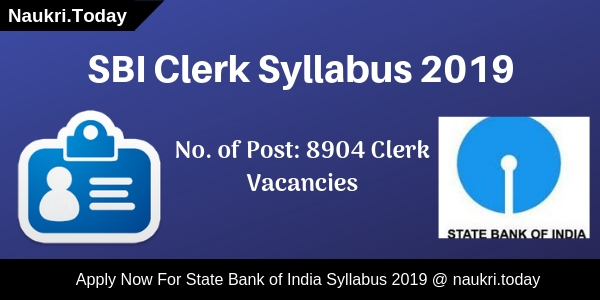 Full details regarding SBI Clerk Exam Pattern & Syllabus 2019 is mention below section. Participants who ready for exam preparation must need State Bank Of India Clerk Syllabus & Exam Pattern for better result. You can download from here SBI Junior Associates Exam Syllabus. Here we also provide to you, all details of the examination. Candidates selection will be based on performance in written test. First candidates who are applied can attend the preliminary Exam. Pre exam qualified candidates should attend the main examination. Final selection will be made on the basis of candidates performance in both exam. 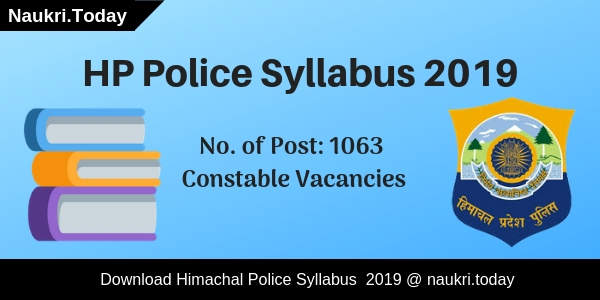 You should also Check SBI Clerk 2019 Syllabus & Exam Pattern from here. The phase I pre exam will be held on June It is online computer based exam and consists objective type multiple choice questions. There are total 100 questions and each question carry 01 mark. The exam duration will be 01 hour for all sections. No Qualifying marks for each subject as well as aggregate is given. Furthermore please check given below SBI Clerk Exam Pattern. State Bank of India Junior Associates Exam (Main) is also online based test. It also consists multiple choice objective type questions. There are total 190 questions and the duration of examination is 02 hour 40 minutes. There will be negative marking for each wrong answer. Furthermore check given below State Bank of India Junior Associates Exam Pattern. Current Affairs – Questions can be asked from various fields such as, National, International, Awards, Sports, Defence, Summits, Appointment, Books & Authors and Obituary, etc. Conclusion : SBI Clerk Syllabus 2019 available for all participants who are going to prepared for written test. You should read given above full article regarding details of SBI Junior Associates Syllabus 2019. The exam will going to held on June/August 2019.